How do I manage quarantined files? Shield Deluxe isolates the malware-infected files it cannot disinfect and the suspicious files in a secure area named quarantine. When a virus is in quarantine it cannot do any harm because it cannot be executed or read. By default, quarantined files are automatically sent to iS3 Labs in order to be analyzed by the iS3 malware researchers. If malware presence is confirmed, a signature is released to allow removing the malware. In addition, Shield Deluxe scans the quarantined files after each malware signature update. Cleaned files are automatically moved back to their original location. Open the Shield Deluxe window. Quarantined files are managed automatically by Shield Deluxe according to the default quarantine settings. Though not recommended, you can adjust the quarantine settings according to your preferences. Keep this option turned on to automatically scan quarantined files after each virus definitions update. Cleaned files are automatically moved back to their original location. Keep this option turned on to automatically send quarantined files to iS3 Labs. The sample files will be analyzed by the iS3 malware researchers. If malware presence is confirmed, a signature is released to allow removing the malware. By default, quarantined files older than 30 days are automatically deleted. If you want to change this interval, type a new value in the corresponding field. To disable automatic deletion of old quarantined files, type 0. To delete a quarantined file, select it and click the Delete button. If you want to restore a quarantined file to its original location, select it and click Restore. What is Active Virus Control? iS3 Active Virus Control is an innovative proactive detection technology which uses advanced heuristic methods to detect new potential threats in real time. Active Virus Control continuously monitors the applications running on the computer, looking for malware-like actions. Each of these actions is scored and an overall score is computed for each process. When the overall score for a process reaches a given threshold, the process is considered to be harmful and it is blocked automatically. If Autopilot is off, you will be notified through a pop-up window about the blocked application. Otherwise, the application will be blocked without any notification. You can check what applications have been detected by Active Virus Control in the Events window. Click the switch to turn on or off Active Virus Control. How do I configure data protection? Make sure data protection is enabled. Create rules (see below) to protect your sensitive data. To create a rule, click the Add rule button and follow the configuration wizard. You can navigate through the wizard using the Next and Back buttons. To exit the wizard, click Cancel. Rule Name - type the name of the rule in this edit field. Rule Type - choose the rule type (address, name, credit card, PIN, SSN, etc). Rule Data - type the data you want to protect in this edit field. For example, if you want to protect your credit card number, type all or part of it here. Important: It is recommended to enter at least three characters in order to avoid mistakenly blocking messages and web pages. However, for extra safety, only enter partial data (for example, only a part of your credit card number). Rule Description - enter a short description of the rule in the edit field. Since the blocked data (character string) is not displayed in plain text when accessing the rule, the description should help you easily identify it. Select the type of traffic you want Shield Deluxe to scan. Scan Web (HTTP traffic) - scans the HTTP (web) traffic and blocks the outgoing data that matches the rule data. Scan e-mail (SMTP traffic) - scans the SMTP (mail) traffic and blocks the outgoing e-mail messages that contain the rule data. You can choose to apply the rule only if the rule data matches whole words or if the rule data and the detected string case match. Specify the users for which the rule applies. Only for me (current user) - the rule will apply only to your user account. All users - the rule will apply to all Windows accounts. Limited user accounts - the rule will apply to you and all limited Windows accounts. Click Finish. The rule will appear in the table. From now on, any attempt to send the rule data through the selected protocols will fail. An entry will be displayed in the Events window indicating that Shield Deluxe has blocked identity specific content from being sent. How do I clean a virus in an archive? An archive is a file or a collection of files compressed under a special format to reduce the space on disk necessary for storing the files. Some of these formats are open formats, thus providing Shield Deluxe the option to scan inside them and then take appropriate actions to remove them. Other archive formats are partially or fully closed, and Shield Deluxe can only detect the presence of viruses inside them, but is not able to take any other actions. If Shield Deluxe notifies you that a virus has been detected inside an archive and no action is available, it means that removing the virus is not possible due to restrictions on the archive's permission settings. Identify the archive that includes the virus by performing a System Scan of the system. Go to the location of the archive and decompress it using an archiving application, like WinZip. Identify the infected file and delete it. Delete the original archive in order to make sure the infection is totally removed. Recompress the files in a new archive using an archiving application, like WinZip. Turn on the Shield Deluxe real-time antivirus protection and run a Full system scan in order to make sure there is no other infection on the system. Many applications write keys in the Windows Registry at installation time. When removing such applications, some of their associated registry keys might not be deleted and continue to remain in the Windows Registry, slowing down your system and even causing system instability. The same happens when you delete shortcuts to or certain files of applications installed on your system, as well as in the case of corrupt drivers. Under the TuneUp panel, select Registry Cleaner. Follow the four-step guided procedure to clean the registry. You can navigate through the wizard using the Next button. To exit the wizard, click Cancel. Wait for Shield Deluxe to finish scanning the registry. You can see all the invalid or orphan registry keys detected. Detailed information is provided about each registry key (name, value, priority, category). Software Locations. Registry keys that contain information about the path to applications installed on your computer. The invalid keys are assigned a low priority, which means that you can delete them without almost any risk. Custom Controls. Registry keys that contain information about the file extensions registered on your computer. These registry keys are commonly used to maintain file associations (to ensure that the correct program opens when you open a file using Windows Explorer). For example, such a registry key allows Windows to open a .doc file in Microsoft Word. Shared DLLs. Registry keys that contain information on the location of shared DLLs (Dynamic Link Libraries). DLLs store functions that are used by installed applications to perform certain tasks. They can be shared by multiple applications to reduce memory and disk space requirements. These registry keys become invalid when the DLL they point to is moved to another location or completely removed (this usually happens when you uninstall a program). The invalid keys are assigned a medium priority, which means that deleting them may negatively affect the system. By default, all the keys are marked for deletion. You can choose to delete individual invalid keys from a selected category. Find Shield Deluxe and select Remove. Find Shield Deluxe and select Uninstall. How do I uninstall (remove) Shield Deluxe? Download the Shield Deluxe Uninstall Tool on your computer into a location of your choice. This tool can be used for both 32 bit and 64 bit operating systems. How do I resolve "Use another key" error? The application is requesting another key because the originally used key is still active. Once the product is installed and activated, the key that is used to activate the software is stored in the machine until it expires. Therefore, when the product is uninstalled then re-installed the software will automatically pick up the active status. To verify your product is active, double click on the product icon to enter the interface. Once in the interface information about the status of the software can be found in the mid-right side of the page. How do I determine if my product is installed? To manage the entire product more quickly, you can use the Shield Deluxe 2010 icon in the system tray. If you double-click this icon, Shield Deluxe 2010 will open. Also, by right-clicking the icon, a contextual menu will allow you to quickly manage Shield Deluxe 2010. Show - opens the main interface of Shield Deluxe 2010. 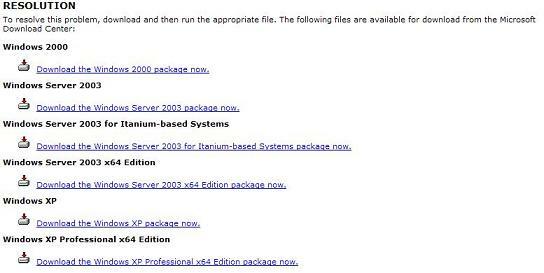 Help - opens the help file, which explains in detail how to configure and use Shield Deluxe 2010. About - opens a window where you can see information about Shield Deluxe and where to look for help in case something unexpected appears. Fix All Issues - helps you remove current security vulnerabilities. If the option is unavailable, there are no issues to be fixed. Turn Game Mode On / Off - activates / deactivates Game Mode. Update Now - starts an immediate update. A new window will appear where you can see the update status. Basic Settings - opens a window where you can change the user interface mode and enable or disable the main product settings. Red square with an exclamation mark: Critical issues affect the security of your system. They require your immediate attention and must be fixed as soon as possible. Yellow square with an exclamation mark: Non-critical issues affect the security of your system. You should check and fix them when you have the time. Letter G: The product operates in Game Mode. Under Schedule change to "Periodically"
Click on the Start Scan to scan the objects. You may experience the following issues with Shield Deluxe 2009 after installing Vista OS SP1. Computer was restore to an earlier time, thus causing issue with initial activation. Internal Error with activation server. How do I disable event notifications? Right click the Shield Deluxe 2009 icon, this icon is located in the lower right hand side of your system. Click Appearance in the open window. Minimize the main the Shield Deluxe 2009 window. In the right part of the window in the Events notification section click the Advanced button. In the open Events notification settings window check the necessary settings for each notification. Click OK in each window. Minimize the main application window. After installation, I am unable to view my financial information. Please follow the instructions below to configure the Shield Deluxe to work with your financial website. Note: If you have Norton remants on your system you may experience errors and or issues retrieving banking information. Once the application and/or it's remnants have been removed proceed with the following instructions. In the Trusted Zone window, click the Trusted Applications tab. Click the name of the website entry to highlight it, and click Edit. In the Trusted application window, click Browse. Select My Computer, then C://(local) drive, then Program Files, then the path to the financial program and/or website and click OK. This is due to the Deluxe program double scanning your Email. To correct this issue complete the following steps. At the bottom of the window uncheck the two boxes.